Here you can find some goodies to download, to make you music creation process easier and fun. If you have questions, feel free to contact me. Enjoy. After 6 years using the Nord Electro 3, I was able to complete my ideal setup I use in my compositions. You can download it as a Nord backup and transfer to your Nord Electro 3 (only) using the Nord Sound Manager tool and its “restore” functionality. A control surface for the Roland JX-10 (Super JX) and its rack version, the MKS-70. It was made using Liine Lemur, for iPad. In order to fully use it you need the Fred Vecoven’s ROM Upgrade for the JX-10/MKS-70. Check here for further details. To install it, open the file using the Lemur Editor, connect the iPad and start Lemur, then click on the “Play” icon on the toop left corner of the editor to link the iPad and transfer the surface to it. Check the Lemur user guide for further details. 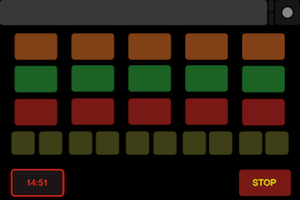 v 2.0 – Added the capability to control the aftertouch slider using an Expression Pedal connected to C1 or C2. 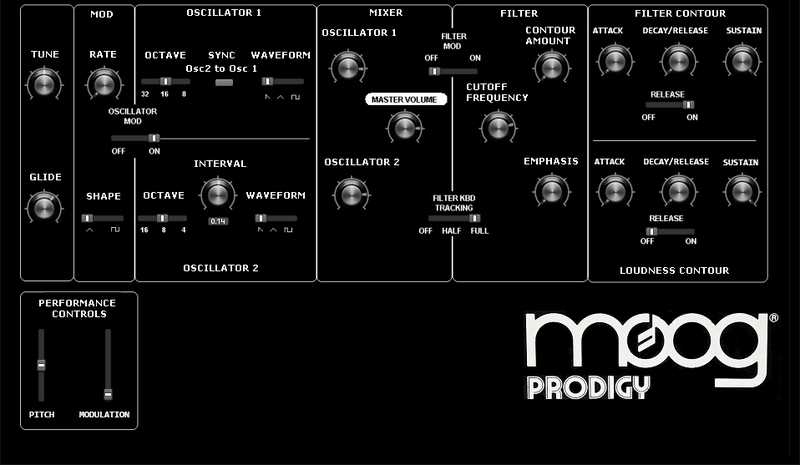 Customization of the Moog Prodigy 1.0 by Frank Feldt. This is a porting of the legendary synthesizer “Arp Odyssey”. Any comments are appreciated. Feel free to make your improvements or to create your own sound set. For this first version I created only an INIT sound. The biphonic mode can be switched off. 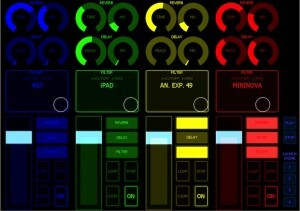 The original presets from the Roland Jupiter 8 programmed for ARTURIA JUPITER 8V2 soft synth. Decompress and drag’n drop the j8e file on the interface of the plugin, or simply use the “IMP” button on the main panel of the soft synth. Some patches I made for the Novation Mininova synthesizer. You can download and use it for free. An Ableton Live! 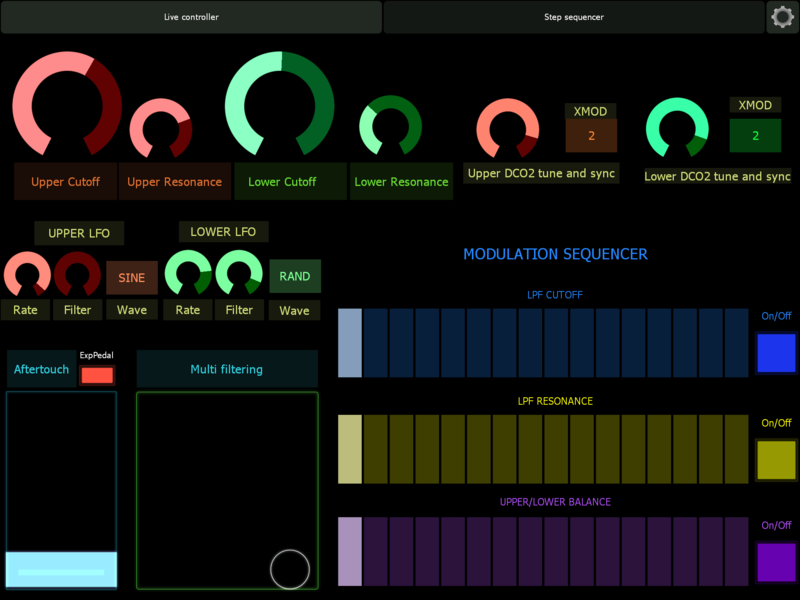 control surface made for Liine Lemur. It’s a custom version of the “Rheyne jammer” template made by Rheyne and available here. 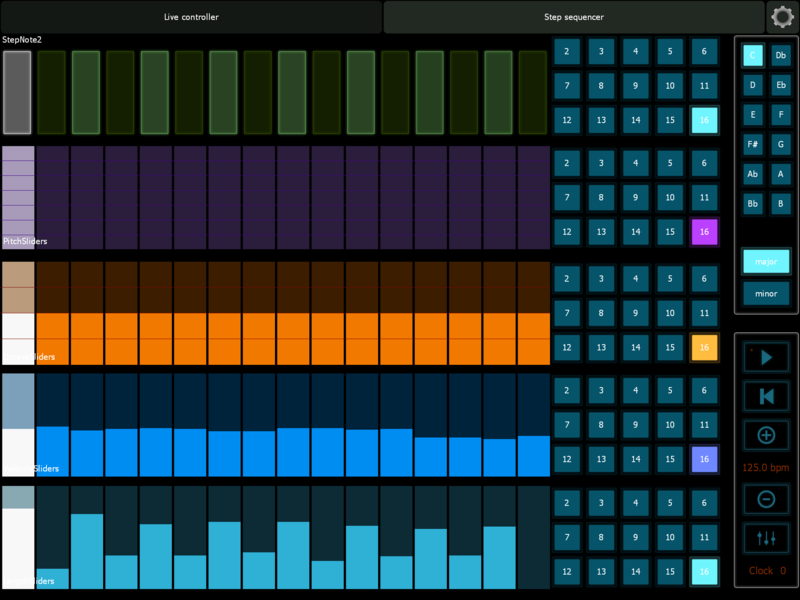 A controlling surface for Ableton Live! Looper, realized using TouchOSC. The layout is optimized for the iPhone and the iPod. For installation instructions, take a look at here. 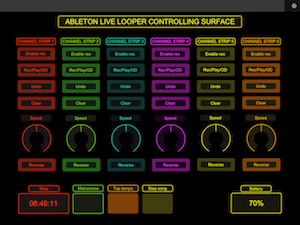 A controlling surface for Ableton Live! Looper, realized using TouchOSC. The layout is optimized for the iPad. For installation instructions, take a look at here. Subscribe to GPR Music Project newsletter to receive info about new soundsets, songs, tutorials, videos and over!